The Blockchain technology was mooted out of the bitcoin cryptocurrency project as a decentralized platform to host shared yet immutable encrypted data, that was in 2008. Although proofs show that some computer scientists and mathematicians had theorized the Blockchain concept before Bitcoin, however, it was the very idea to create a decentralized currency that brought it into practical application - little would those pioneers have anticipated a revolution coming of age that the blockchain today is going to be as huge as the cloud computing in 2011. As though fated, a pioneering technology would usually gain the quantum leap quite immediately after it is formally endorsed and adopted by the big boys in the enterprise space such as Microsoft, Oracle, VMWare, SAP etc. In this case for the Blockchain, Oracle does so by the launching of the Oracle Blockchain Cloud Service early adopter version on 17-Jul-2018. The Oracle Blockchain cloud service is based on the Linux Foundation’s Hyperledger Fabric as the core engine of the blockchain technology. The objective of this offering is to provide enterprises with a development platform to develop blockchain applications and the ability to integrate with Oracle cloud technologies as well as other third-party applications seamlessly via REST API interfaces. 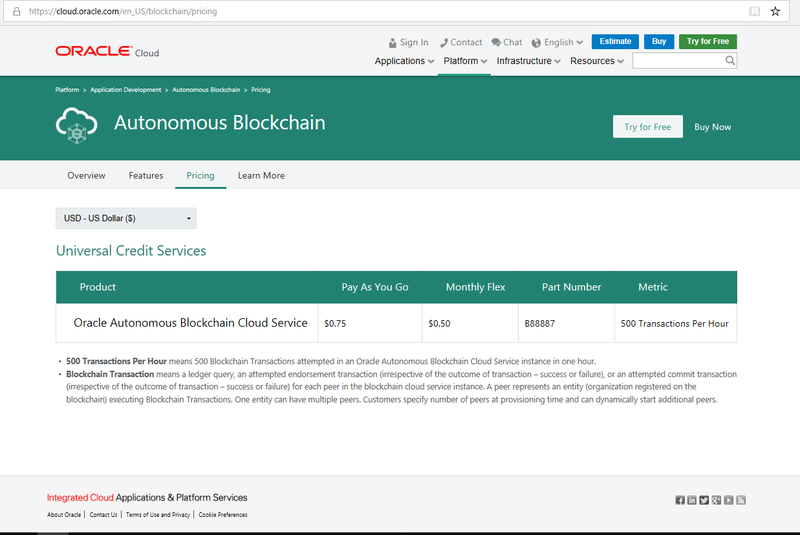 For example, one can easily enable secure access for the Blockchain applications by integrating with the Oracle Identity Cloud Service with single sign-on and key management services seamlessly. Blockchain applications can support smart contracts (known as chaincodes in Oracle Blockchain) which caters for the conduction of non-repudiable transactions and tamper-proof ledger updates such as verifying account balances before transferring funds or matching purchase and sales orders. Even though new, the Oracle Blockchain has had successful deployments as case studies where enterprises had built and deployed Blockchain applications for the purpose of tracking goods through supply chains on a global scale. Arab Jordan Investment Bank, CargoSmart, Certified Origins, Indian Oil, Intelipost, MTO, Neurosoft, Nigeria Customs, Sofbang, Solar Site Design and TradeFin are among the many global organizations that already have adopted Oracle’s blockchain platform. 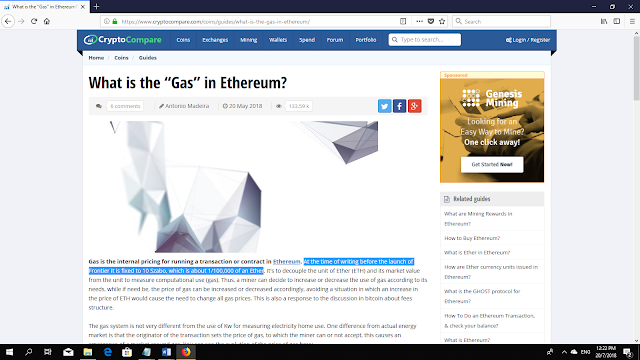 The Oracle Blockchain is unlike other Blockchain platforms which often are financed by the transaction fees known as computational Gas paid for by cryptocurrencies such as Bitcoin, Ether (for Ethereum platform), XEM (for NEM platform) etc. To subscribe to the Oracle Blockchain service means hosting the first node (server instance) of the blockchain in the cloud managed by Oracle and the Gas to power the process of achieving consensus of uploading data to the chain is paid by subscription to the cloud service. At the time of writing this article, the subscription fee is US $0.75 for 500 Transactions Per Hour. 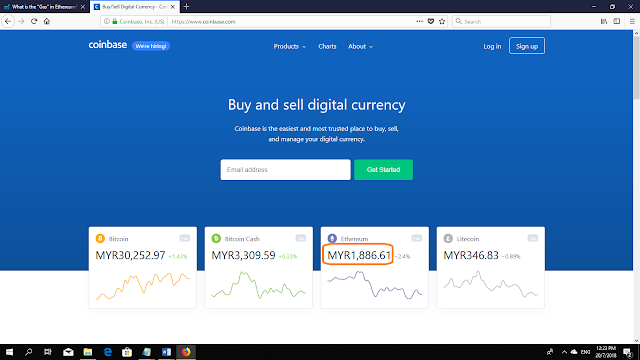 This price is affordable by the standard of Ethereum Gas which at the time of writing, is 10 Szabo or 1/100,000 of an Ether (per transaction), which is about RM 0.019 or USD 0.0048 – therefore, it would amount to USD 37.79 for 500 transactions under the Ethereum Blockchain platform – in other words, Oracle envisions enterprises to transact more than 500 times per hour per day! 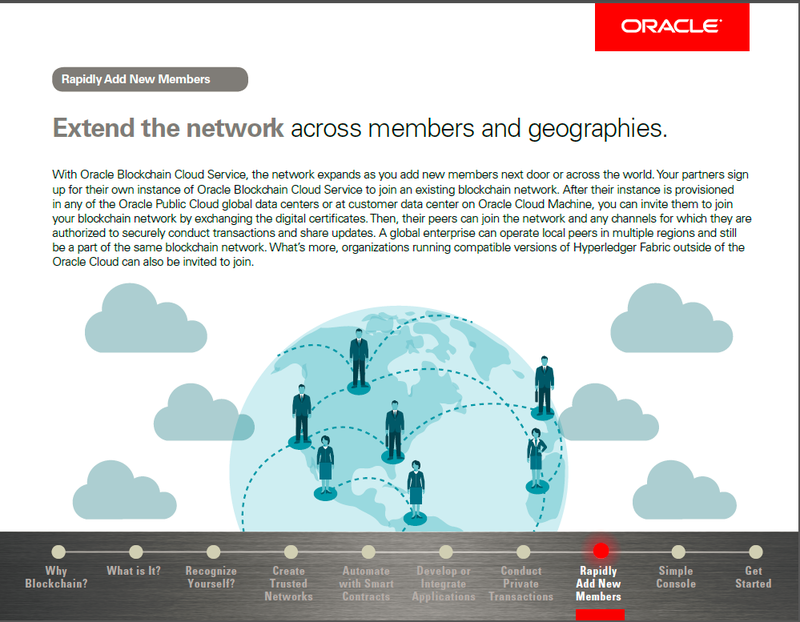 The Blockchain (network) powered by Oracle Blockchain Cloud platform is a private chain (network) with comprehensive access control options – to do that, define one or more channels to isolate peers into subnets and create private ledgers. 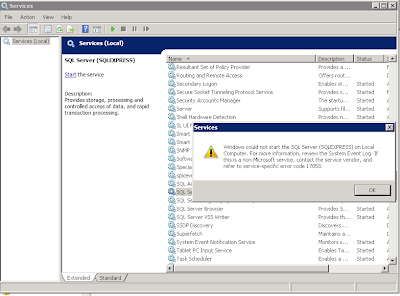 Network peers can only join channels subject to approval by other organizations on that channel - peers can be from outside of the Oracle Cloud if the server is running Oracle Cloud Machine or hosting compatible versions of Hyperledger Fabric. 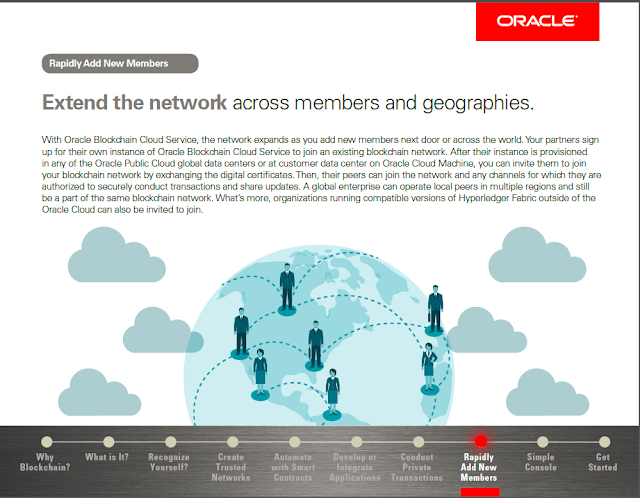 In Oracle Blockchain Cloud Service, no mining or harvesting activity is required.